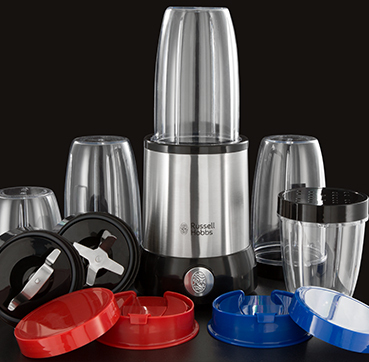 Developing good eating habits has never been easier with the amazing Russell Hobbs NutriBoost. 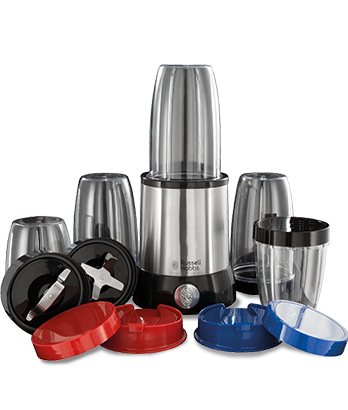 Its blending function makes smoothies, soups, sauces, and delicious nutrient packed drinks easily and quickly without losing any valuable vitamins. Getting the right nutrients every day can improve your health, your appearance and the way you feel. The NutriBoost is a great gadget for people who want to enjoy more fresh food in their diet without lots of fuss and hassle. Because it does so much in one, it can even save space on the additional appliances you'd normally need, as the NutriBoost does the lot. This advanced appliance won't waste a single nutrient or morsel of goodness because all the delicious taste and vitamins from the fruit and vegetables end up in your drink. 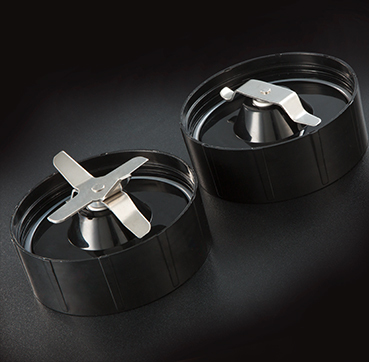 It also has a serrated blade that is good for grating cheese, grinding coffee beans and chopping up nuts. With all of these features packed into one appliance you can have fun getting creative and trying out a range of recipes and flavours. It comes with 5 cups - 3 large and 2 small - so there's one for every member of the family, plus a selection of lids for every use from storing to serving. 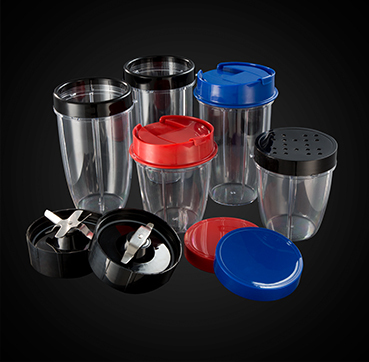 There's even a shaker lid with holes suitable for cheese, chocolate and spices and there's a travel lid with a drinking spout and cover. With so many uses this handy appliance will prove invaluable to the health conscious family.